There is still an element of truth to Gay Davidson’s words from The Canberra Times on 16 September 1975. Papua New Guinea’s infrastructural challenges have changed shape, but remain present, as do the complex and tense issues of land ownership, tribalism and ethnicity. However, having being in amongst the people of Port Moresby as they celebrated 43 years of Independence, it is not difficult to understand PNG as a country . A majority of people here identify strongly with the ancestral cultures of their mothers, fathers and grandparents, but they simultaneously see themselves as Papua New Guineans. Diversity, though sometimes divisive, is often a great source of pride. The Papua New Guineans I’ve met are immensely proud that their country has in excess of 800 languages, more than any other nation in the world. They are inquisitive and excited about sharing different ideas about culture, food, dress and customs with their compatriots – and with visitors too. 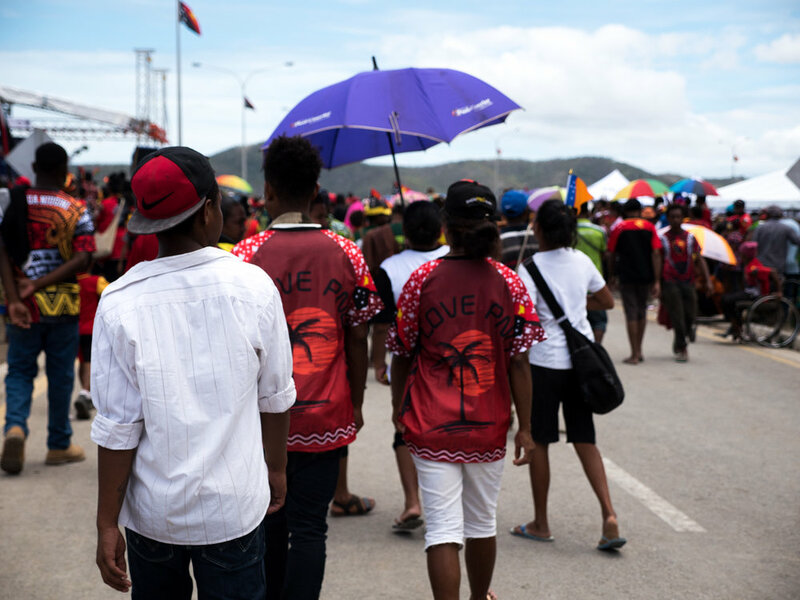 The celebrations at Paga Hill and the recently reopened Ela Beach were vibrant, open and safe – three words not usually associated with Port Moresby. At the Paga festival I was approached by a man selling flour-battered prawns who thanked me for bringing my family down to join in the occasion. I told him that it was us who were thankful for being welcomed and apologised for the shellfish allergy that prevented me from sampling his wares. — Sir John Guise, the first Governor-General of Papua New Guinea, 16 September 1975. For the last two weeks my daughter Leilani has been constantly singing PNG’s national anthem O Arise, All You Sons. She even sings it before she falls asleep at night. In 1975, Papua New Guinea became independent and free, however, it’s easy to forget that in order to gain Independence, the people of Papua New Guinea had to first be deprived of their sovereignty – most recently under the colonial administration of Australia. Australian’s shy away from viewing our country as a colonial ruler. We prefer to think of ourselves as being on the other end of that stick. The territories of Papua and New Guinea seem to exist in a place and time period that is not considered by many as part of our broader national identity. I would wager that future Australians will similarly reject the detention and inhumane treatment of innocent people as an element of ‘Australian-ness’ – but nonetheless these past actions will remain forever as historical fact. 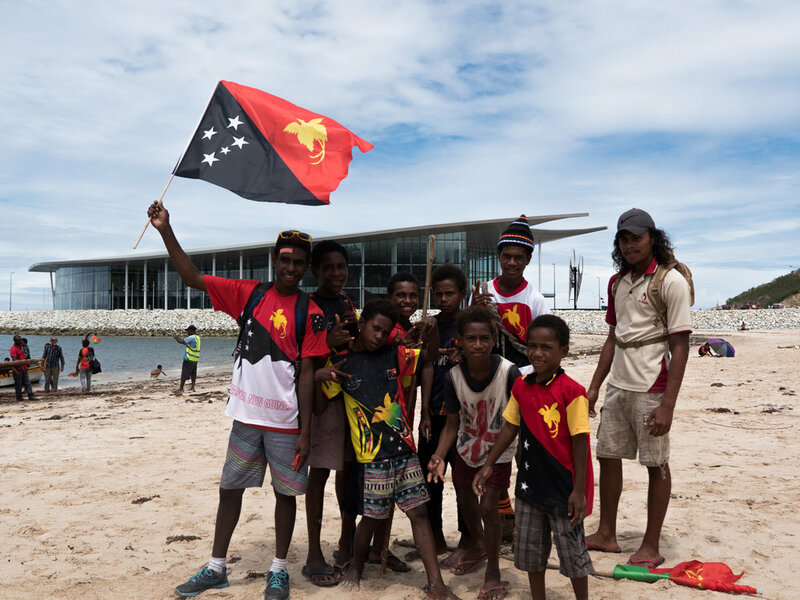 But despite all the baggage of the past and the present segregation that exists, I am continually amazed and overwhelmed by the way Papua New Guineans embrace Australian expatriates as members of their family – like cousins that have come to visit for summer holidays. In the lead-up to Independence Day, Leilani learned a traditional dance for a class performance at their pre-school’s celebration. My colleague and good friend Maggie, who has girls aged a year either side of her, was delighted when I asked if they had any customary outfits – bilas – that she could borrow for the big day. This was not just a loan of items – it was Maggie and her family delighting in the opportunity to share their culture with our family. 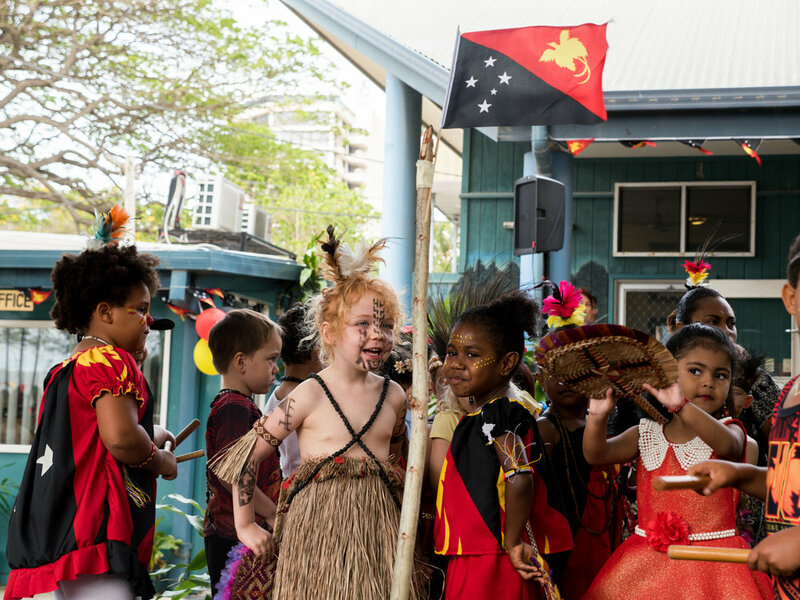 When I showed Maggie the video of Leilani and her class performing, she immediately recognised the song and choreography from Bougainville, the autonomous island region closer to the Solomon Islands than mainland PNG. Independence Day is a yearly reminder of the challenges that come with cultural differences and the strength that can be found in diversity – they’re two sides of the same coin. Whether the positivity of that singular day can be eventually extended to the rest of the year remains to be seen, but I am certain that PNG is better together.